AS Monaco striker Radamel Falcao has said that he is focusing on the Copa America not on the transfer window despite of linking with Chelsea strongly in the recent days, SkySports reported. Sky reveals that Chelsea are preparing to sign Falcao this summer despite of his poor season at Manchester United. 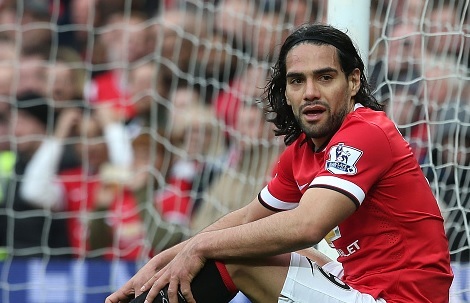 Falcao scored four goals in 26 games for Man Untied in the Premier League. The Blues are keen to sign him and boss Jose Mourinho believes that he can be back on track once he joins Stamford Bridge. Falcao who will be playing Copa America for his country Colombia has not hinted his future, he said that his focus is at Copa America at the moment. United signed him on loan last season with an option to seal his deal permanently for £44million but they opted against the permeant deal. The 29-year-old returned to France earlier this week after the completion of the Premier League season. Currently, he is with the Colombia squad. Monaco have no plans to keep him and will sell for a price around £30million, as per the reports. Mourinho is eyeing him as a replacement of Didier Drogba who will be announcing his retirement this summer.